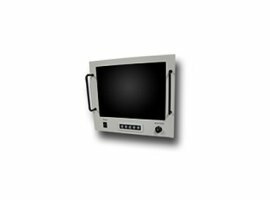 The VLCD-12 Variable Line Rate Display is designed for use in the lab environment. The latest TFT technology provides a high-resolution color image with high brightness. All display settings are accessible via front panel buttons, on-screen menus, and user configurable hot keys.